The Great Outdoors #87 "Crystal Pepsi & Moonshine @ midnight"
It’s almost one am here in Saint George and my wife is home safe so I can finally go to bed. To stay up I occupied my self by trying to make a few of the Kyosho Ferrari 12 cars. 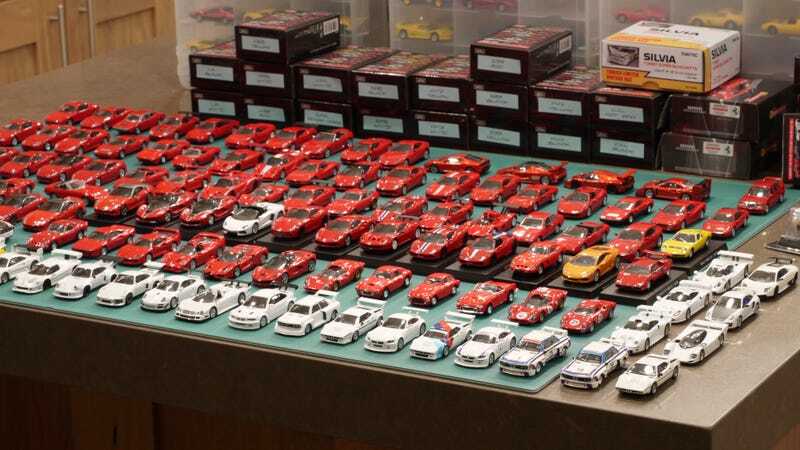 I got through a few red ones but ended up taking out my lose red Kyosho Ferraris and misc white race cars. I was drinking Crystal Pepsi laced with moonshine :) have a great weekend at some point I will make all of ferrari 12.